This article has been marked as out of date and will be replaced by a new article titled “Full Tilt Poker – The Rise, Fall and Resurrection” which will contain a detailed history of the company together with the events leading up to, and after Black Friday and the change of ownership. As you can image an comprehensive article such as this takes a lot of time to research and complete so please check back in the future to see the updated article. If you wish to be notified when the article goes live then please contact us and we will be happy to oblige. Full Tilt Poker is an online poker site that has drawn people from all skill levels to play and interact with the pros. Besides learning from the pros directly by watching or joining in with them on Full Tilt Poker they can also read tips and articles that have been written by the team of professionals at FullTilt Poker. It is a great system, and it all started just a few short years ago. 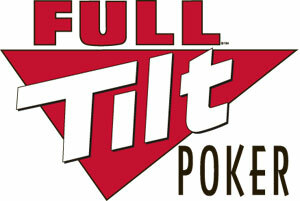 In July of 2004, Full Tilt Poker opened for business. The website had been envisioned and implemented by Chris Ferguson, Howard Lederer, Phil Ivey, and other professionals. They wanted a online poker site that was designed by poker players for poker players. This was done in partnership with a software developer and licensing company based in Los Angeles. The software was ultimately designed by Tiltware, LLC who brought Team Full Tilts ideas to life. The software allows many options for the player to individualize the playing environment. Personal avatars are chosen to represent each player, and the cartoon-like images make the game enjoyable. There are also different views of the tables a player can choose and the software is fully Mac compatible. Joining Ferguson, Lederer and Ivey on Team Full Tilt are John Juanda, Clonie Gowen, Gus Hanson, Jennifer Harman, and other famous poker names. There is also a group of pros that are sponsored and play online at Full Tilt. These include The Hendon Mob, David Benyamine, Andy Black, Huck Seed, and others. Any player might end up in a poker game with any of the Team Full Tilt, or the Full Tilt Pro’s on any given day that they play. Full Tilt Poker has been the sponsor for several television shows dealing with poker such as Learn from the Pros, Poker Championship at Red Rock, Poker After Dark, and Poker Equalizer. The professional poker players from Full Tilt were intensely involved with these productions. FullTilt Poker is also famous for it’s FTOPS series of online poker tournaments. FTOPS stands for Full Tilt Online Poker Series and mini version of the World Series of Poker which happens online. Each FTOPs tournament is hosted by one of the Full Tilt Pro’s and usually many millions is guaranteed by Full Tilt for each tournaments prize money. Recently in the FTOPS Phil Ivey hosted the first ever 2 day online poker tournament. It was a two-day affair with a guaranteed prize pool of $600,000. The buy-in was $2,500 although many people qualified via online satellites on Full Tilt for as little as $3. The event was a huge success and the eventually prize pool was $1,620,000. The FTOPS is part of the creative ideas that Team Full Tilt come up with which is what has made Full Tilt Poker a powerful force in the online poker world. In September of 2006, a legal issue came up for all internet poker websites. It was proposed that internet gambling should be outlawed in the US. The suggested legislation was the Unlawful Internet Gambling Enforcement Act. Some sites bowed to the pressure, but Full Tilt maintains the position that poker is not a game of chance and so does not fall under this legislation. They still accept American money players. Recent innovations at Full Tilt Poker are podcasts for poker information, and the addition of foreign languages. They have also added GatorPay as a money transfer option as they continue to find ways to make it easier for US players and players from all around the world to have access to one of the worlds favourite pastime. With the Full Tilt Poker Bonus package given for signing up of 100% up to $600 on your first deposit, plus great loyalty bonuses, they have a lot to offer players. Full Tilt Poker has been, and continues to be, an excellent site for anyone who truly wants to learn the game of poker. With the help and competition from poker pros, the game comes to life in a way that it does not on other sites.